Martial art has been classified into two groups, internal and external and northern and southern. Actually they came from the same source. Since the Venerable Da Mo, or the Venerable Bodhidharma, arrived and invented Eighteen Lohan Hands, the Wudang patriarch, Thong Yun Real Man, Zhang San Feng, after receiving the true transmission of Shaolin, invented internal school, henceforth martial art was divided two branches of Shaolin and Wudang. External school of martial art derived from Shaolin, regulated breathing, trained hundred bones, be agile in moving forward and backward, and focused on being hard and soft. Internal art derived from Wudang, strengthened tendons and bones, developed circulation of energy, maintained silence to subdue movement, and focused on being quiescence. The Shaolin Monastery in Fujian Province succeeded from the Shaolin Monastery in Henan Province, but its martial art developed as its own system, its mastery deep, its changes marvelous, and its Shaolin disciples achieved the level of what people hoped but could not attain. After the monastery was burnt to the ground, martial art of Shaolin monks in the temple flowed like wind and dispersed like snow, flowed into the public. Having gained the advantage of geography, in a few years Guangdong Province became a place for heroes and prosperity. There were “Ten Tigers of Guangdong”, who were Iron Bridge Three, Wong Thung Ho, Tham Chai Wen, Lai Yein Chiew, Beggar Su, Iron Finger Chan, Chow Thai, Wong Yein Lam, Black Tiger Su, and Wong Kai Yin. There were extraordinary and beyond the public. Before the Ten Tigers were known in the world, the one who had the wind of righteousness and bones of chivalry, and greatly respected by the public was Luk Ah Choy. Luk Ah Choy was a Manchurian, but had lived in Guangdong for a long time. When he was small, both his parents died, and he was looked after by an uncle. But his uncle was unkind to him, not feeding him enough to fill his stomach, and not clothing him enough to warm him, and he was often hit as punishment. Luk Ah Choy could not stand the inhumanity, and ran away. At that time he was only twelve years old. When wind blew gently and the moon was cold (i.e. when the weather was chilly), he would sit alone in a shed which stored wood, and thought to himself that had his parents were alive, he would not suffer such bitterness, and his tears from his eyes and mucus from his nose would flow down. Since he was small, Luk Ah Choy had developed a solitary character, everyday he was not happy, silent and rarely spoke, and whenever he was off from work, he liked to wander about alone in the city so as to erase his suffering and eliminate his loneliness. One day there was a stage showing drama to thanks gods in heaven. Luk Ah Choy went there alone to watch. All around the stage was crowded with people, layers and layers of humanity, not less than thousands of citizens. His body is short and small, even when he was on his toes, he could not see the stage. So he crawled beneath people’s legs to find a space where he could view. There was a monk in front of the stage watching the play. Luk Ah Choy stood behind the monk, but the monk was huge and Luk Ah Choy could not see anything on stage. So he moved to stand in front of the monk. After a short while, before a song sung by an actor was completed, Luk Ah Choy found a hand grasping him. He looked back and found the monk placing him underneath the monk’s armpit. The monk walked away, and although Luk Ah Choy tried to struggle free, he remained grasped by the powerful monk. They went quite far into a country-side where no inhabitants lived. After traveling for a long time, they entered a small, old temple. Placing Luk Ah Choy on the floor, the monk sat on a mat and started to meditate. It was like a dream. Luk Ah Choy looked around and found the temple isolated. He did not hear any sounds of drums or bells, or wooden fish (which were used to keep rhythm when chanting sutras). There were no other monks. Outside the small temple were wild grass and fallen leaves. The monk was meditating, the sound from his nose was like thunder. Luh Ah Choy was furious. He ran towards the monk and hit him with random fists. “You want me to be your servant?” Luk Ah Choy replied. The monk shook his head. As Luk Ah Choy lost his parents when small, and he was alone and had no other intention, he knelt down and accepted the monk as his sifu, or kungfu master. Henceforth, the two persons addressed each other as sifu and student. Day and night, they trained kungfu in the small temple and around it. Every morning the monk led Luk Ah Choy downhill to fetch water from a stream. They did not use a beam carried on their shoulders. The water containers were made of iron and had a pointed bottom., so they could not put down the containers to rest. They had to grip the water containers with their two hands and ran up a hilly road up to the temple. At first Luk Ah Choy found it very difficult, but gradually he was accustomed to it. After some time, he could run up and down the hill a few times without much effort. “There is some secret art in asking you to fetch water. Because the bottom of the water container is pointed, you cannot rest on the way, otherwise the water will spill off. The route you take is narrow and hilly, so that you have to focus on your route, and you cannot merely walk. I let you to undergo such training so that your bridges (i.e. your arms) and foundation (i.e. your stability and agility of footwork) without your knowing gradually become powerful. Lu Ah Choy quickly knelt down to thank his sifu. Henceforth, Luk Ah Choy further increased his subduing bitterness and sustaining endurance, added to his diligence in kungfu training, even the monk was surprised at his progress. 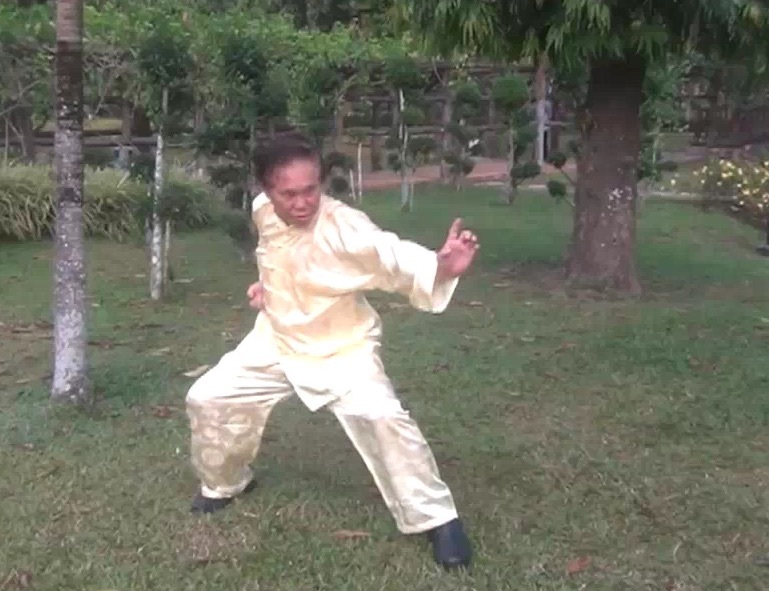 Within a few years, Luk Ah Choy learned the martial art “emerging from spirit and entering neutralization” (i.e. extremely well). Sorrow arose in Luk Ah Choy, and his tears continuously flowed. “Today we part. I have a few words to tell you. Please listen carefully. Although learning kungfu is only a small Way, but small it can strengthen our tendons and nourish our energy, build our spirit and harmonize ourselves, and have the benefits of longevity and mental clarity. Big, it can help the weak and support the strong, flourish the neighborhood, and stabilize the country. When you have descended the mountain (i.e. completed your kungfu training), you must uphold morality, and clear in your chest (i.e. be clear in your consciousness) and be pure and white in your coming and going (i.e. clean in your behavour). 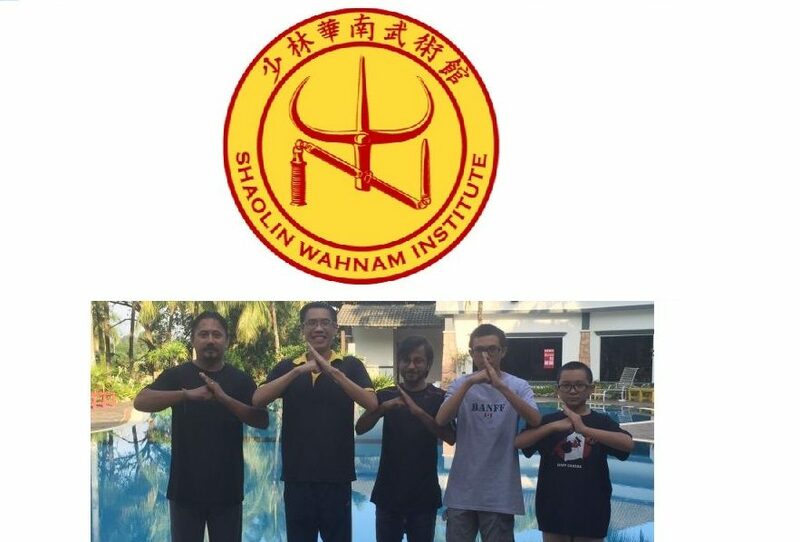 This entry was posted in Grandmaster Wong Kiew Kit, Kung Fu, kung fu culture, legends, Shaolin, Shaolin Temple, Shaolin Wahnam, stories, training and tagged Grandmaster Wong Kiew Kit, Kung Fu, kung fu culture, legends, Shaolin, shaolin temple, Shaolin Wahnam, Stories, training on July 10, 2018 by Wei Joo Lee.